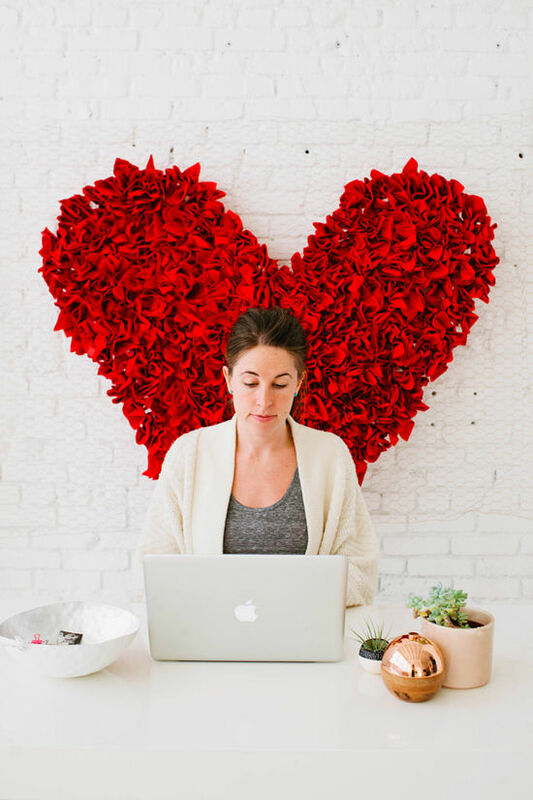 today we’re going to learn how to make a super easy, cheap and fun backdrop with jesi haack design. 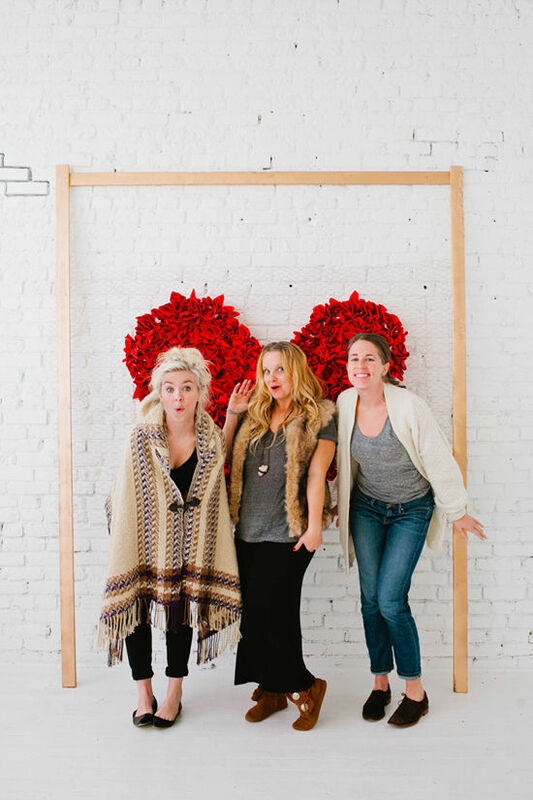 make it for your next party or just to have around the house, because backdrops make everything better! you might have already seen this one appear in a photo or two on my instagram, it was just too good not to share. 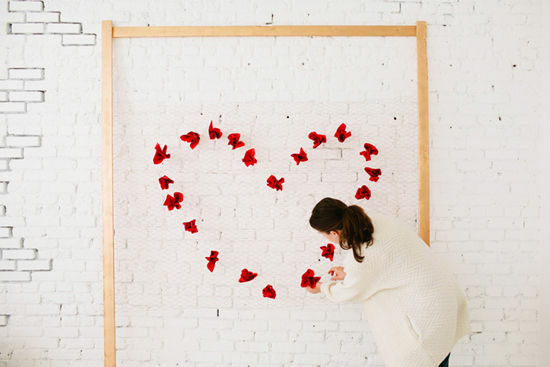 • start by spray painting your 3 pieces of wood and your chicken wire. you will only need to paint one side since the backdrop is meant to lean against a wall. • next, lay down 2 of your long pieces of wood parallel to each other, then lay the 3rd over top, like you’re make the top of a square. 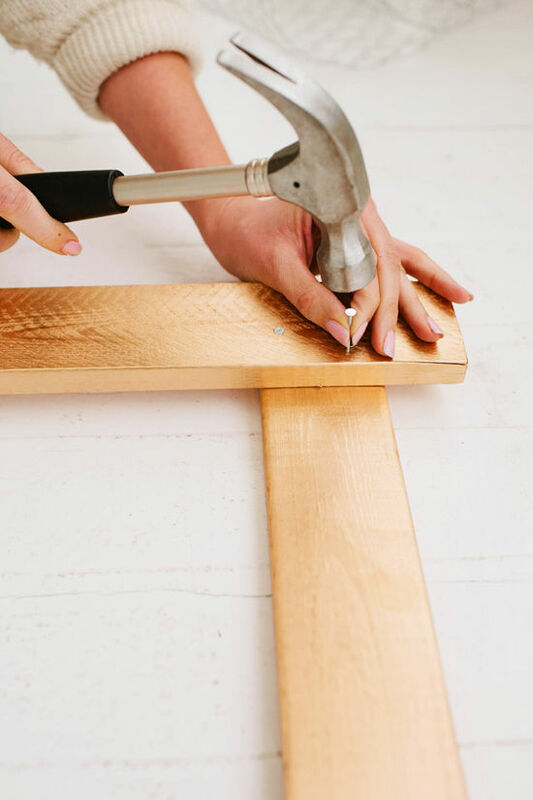 nail the top piece to the top of the other two pieces to create the brace for your backdrop. 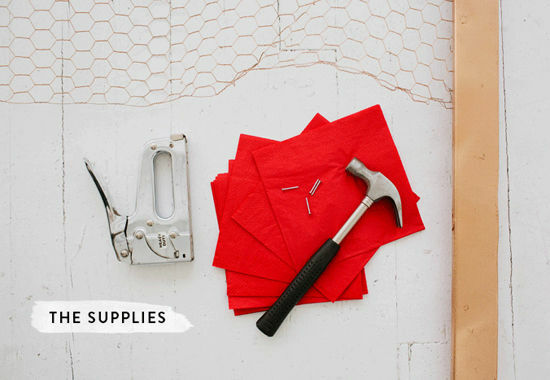 • it’s time to stretch your chicken wire. first, flip over your brace so that you are looking at the unpainted side of the wood. 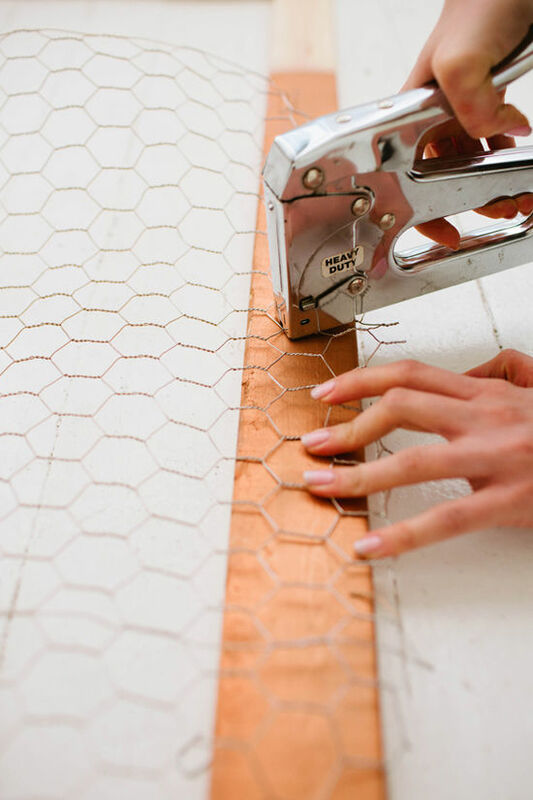 unroll the chicken wire and use your staple gun to attach the end to one of the pieces of wood. i would staple down every 3 inches. stretch the chicken wire over to the other piece of wood and pull it as tight as it will go to ensure there will be no rolls in the chicken wire. 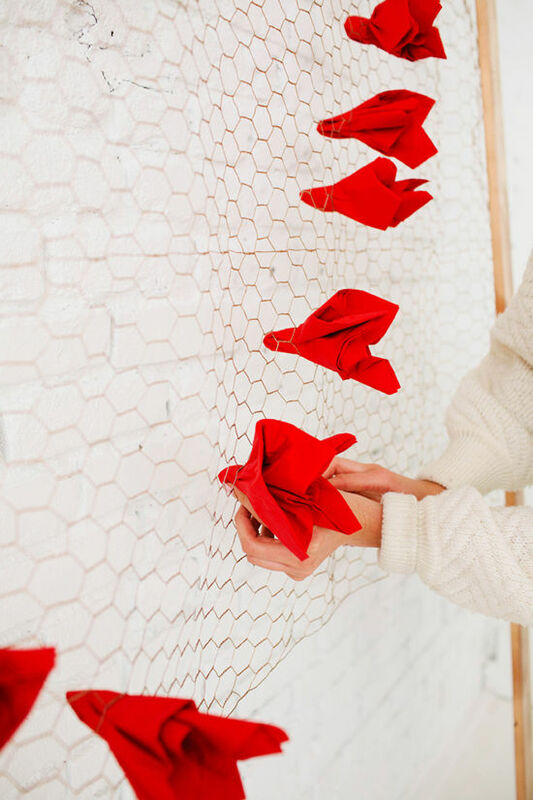 • set the entire brace with your completed chicken wire up against a wall. now you’re ready to make your heart! • place the napkin in your hand, and pull up the center of the napkin to make a point. start by setting the parameters of your heart. 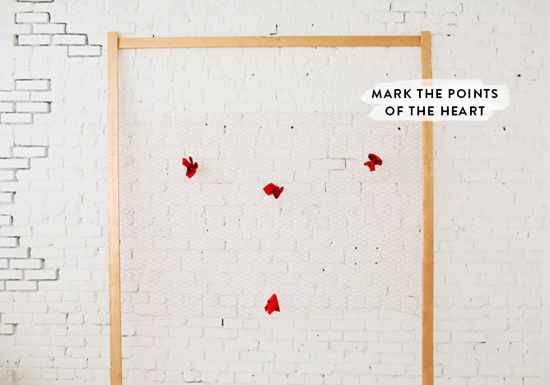 place a napkin where the bottom point of the heart will be and also one where the middle point of the heart will be. then place 2 napkins at the farthest point of each of the rounds of the heart will be. What a great, versatile idea! That’s basically what a lot of memory boards start as, and you could re-distribute the napkins and make all kinds of shapes. How fun! I LOVE IT! Once again, such an awesome DIY project I absolutely love. Thanks DLF for always getting my creative gears goin’! That is such a cute project and fun pic prop. Once the base is up, there are endless possibilities beyond the heart. Thanks! oh, wow. it´s so nice and looks easy to handle. This is so freaking cute! Thanks for the tutorial! GOSH! so simple and so effective! How cute! 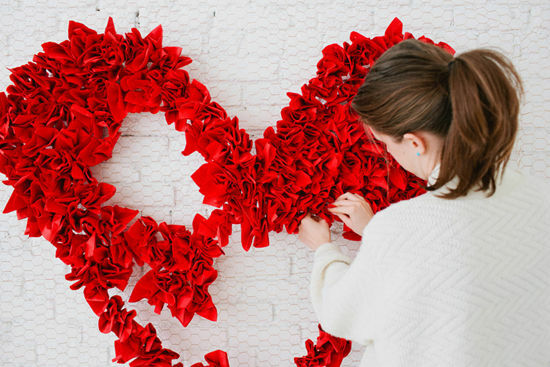 This would even be cute for Valentines decor! Love! So so so cute! And simple! It takes me back to high school days and making floats for parades, too! This is too cute and the perfect idea for our engagement pictures! Such a cute backdrop! Great idea! I can’t wait to start! What paint color did you used? TIA. Hi awesome web site! Male. Attractive. Excellent. Let me search for your blog and also use the nourishes on top of that? I’m grateful to find a lot of beneficial facts listed here in the publish, we want exercise much more procedures about this consider, many thanks revealing. WOW what a project!! So creative! 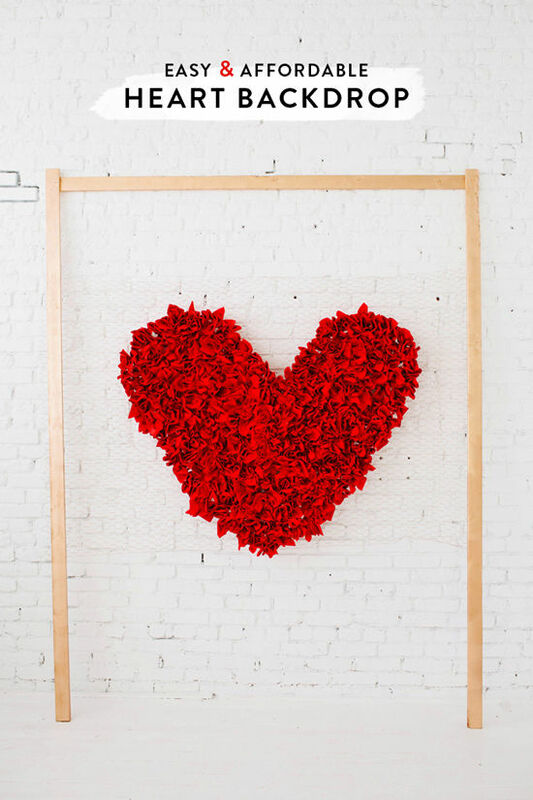 I own a flower shop and would love to do this heart and hang it behind our window (inside the store). However you would be able to see it from both sides . . . people walking our sidewalk and shoppers that actually come in the store. How does the back side of the heart look? Is it as attractive? has anyone tired this project but using fresh flowers?? This is a lovely creation. How many napkins did you buy for this? Full size paper napkins? And did you have a problem with them falling out at all? hey whitney! yes, i think it was full sized napkins and we didn’t have a problem with them falling out because they were stuck fairly far back into the wire so it held them in place. i think as long as you aren’t planning on moving it around you should be fine! Was the chicken wire 2 inches wide holes or 1 inch?